- Русское экономическое общество » The ECB: Who Wears the Trousers in Europe? The ECB: Who Wears the Trousers in Europe? Английская версия статьи «ЕЦБ, или Кто хозяин в европейском доме». The UK referendum on 23 June has reinforced the disintegration trends within the EU and prompted a fresh look to be taken at the entire structure of the European Union. Of the seven institutions of the EU (the European Council, the European Parliament, the Council of the European Union, the European Commission, the Court of Justice of the European European, the Court of Auditors, and the European Central Bank (ECB)), the one usually mentioned last, the ECB, is by no means the least important. In fact, there is reason to believe that in terms of its impact on the life of Europe, the ECB is the most important institution in the European Union. The ECB, with its headquarters in Frankfurt, is the central bank of the eurozone, which has 19 members. The primary objective of the ECB is to maintain price stability within the eurozone (keeping the year-on-year rate of change in the consumer price index at around 2 percent). Moreover, the ECB is entrusted with such functions as issuing euros (in both cash and non-cash form); defining and implementing the monetary policy of the eurozone; managing the foreign reserves of the European System of Central Banks; and setting key interest rates. The Treaty on the Functioning of the European Union emphasises that the European Central Bank is independent of the other European Union institutions. The highest decision-making body of the ECB is the Governing Council, which is made up of the governors of the central banks of the euro area countries. The number of votes in the council is determined by the economic weight of the country. Most of the issues are not settled by the Governing Council, however, but by the Executive Board, which is made up of six people. One of the members of the Executive Board is the ECB president (Mario Draghi). Following the 2007-2009 financial crisis, the construction of a unified EU banking system was begun and the ECB was entrusted with the responsibility of being the regulator of ‘systematically important’ European banks (around 130 banking giants). In practice, the ECB took this function away from national central banks. Finally, the European Stability Mechanism (ESM) was created in 2012, a kind of collective EU money pot to provide emergency financial assistance to drowning countries (primarily Greece). Again, the ECB took it upon itself to keep an eye on this European fund. In fact, for several years after the financial crisis, the ECB managed to take control of the financial and banking system not just of the eurozone, but of the entire European Union. Incidentally, this is one of the reasons why the UK voted the way it did in the EU referendum: the threat of London losing control over its own financial and banking system had become too apparent. In continental Europe, even those in favour of preserving the EU often call for the ECB to be put in its place. 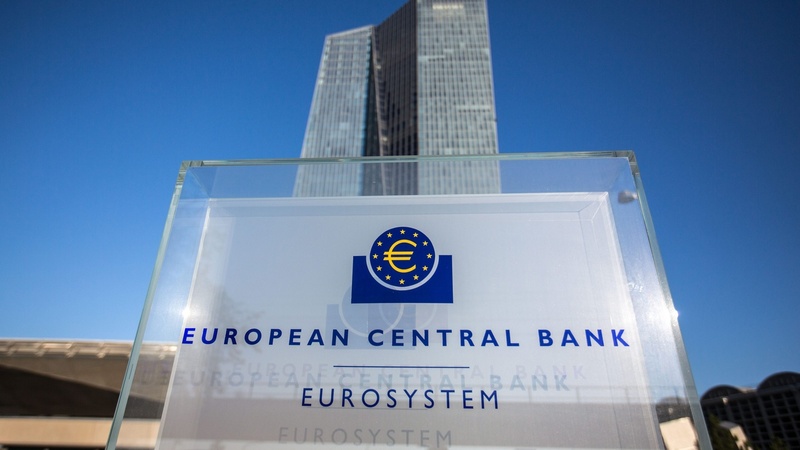 References to the fact that the highest governing body of the ECB is the Governing Council, which is composed of the governors of the eurozone’s central banks, are unconvincing. Firstly, the national central banks themselves have a high degree of autonomy and are weakly controlled by governments and parliaments. Secondly, the ECB extends its influence beyond the eurozone. The current president of the ECB, Mario Draghi, became the head of this institution on 1 November 2011, succeeding Jean-Claude Trichet. Draghi immediately made it clear that he had no intention of coordinating his actions with anyone. As early as December 2011, he decided to provide a three-year loan to save European banks without consulting with either the European Commission or the other EU institutions. The total amount was just short of €500 billion with token interest rates. Mario Draghi even irritates the numerous supporters of European integration and is called the ‘Trojan horse’ of Goldman Sachs. From 2002 to 2005, Draghi was vice chairman and managing director of Goldman Sachs International, one of the four largest banks in America and one of those associated with all the financial malpractice that took place in the stock markets last century. In Europe, it is remembered as the Wall Street bank that gave loans to Greece in the 2000s, getting the country hooked on debt. A special credit technique was used that hid Greece’s growing debt and Brussels slept through the debt bomb being placed underneath ‘United Europe’. The Greek debt secret came to the surface at exactly the same time as Mario Draghi became ECB president. Since then, Europe has been in a permanent debt crisis and officials in Brussels, in the eurozone member states and in the EU are forced to agree with every ‘initiative’ put forward by the ECB, which is blackmailing Europe with the threat of financial collapse. Europeans are primarily critical of the ECB because of its quantitative easing (QE) programme. Behind this term hides the banal operation of creating money with a printing press, the very operation that was decried in every economics textbook of the 20th century. The pioneer behind the quantitative easing scam was the US Federal Reserve System. The scam consisted of exchanging brand new dollars for junk bonds that the Federal Reserve began to buy up on the market. The measure was allegedly designed to revive the US economy following the crisis. There was no revival, however, and the global economy began to be filled with cheap and even free money (interest rates in the money markets began falling to zero). This easy money did not go into the real economy, but into financial markets, where new bubbles began to inflate. The threats posed by the QE programme forced the US authorities to put an end to the dangerous experiment in 2014. The same year, Europe decided to begin its own quantitative easing experiment. The decision was taken by the European Central Bank and ECB President Mario Draghi personally. The repercussions of the quantitative easing programme proved to be even more disastrous for the European economy than the US economy. The fact is that the ECB decided to increase the effect of the programme by introducing negative interest rates. As early as 2014, the ECB declared that it was imposing a negative interest rate on its deposit facility, and then in 2016 that it was cutting its interest rate to zero. Commercial banks emerged in Europe that did not just have negative interest rates on their deposit operations, but on their active operations as well (mortgages in Denmark and Belgium). There are currently bonds totalling several trillion euros on the European market for government debt securities with floating interest rates! European companies and banks regarded this situation on the market as their time to shine. They rushed to issue their corporate bonds at less than 0.5 percent and even less than 0.1 percent. Interest rates like these make corporate bonds more attractive than ‘negative’ government bonds. But where are corporate issuers sending the money raised? The money is going to exactly the same financial markets. The markets are heating up and the bubbles are inflating. In its defence, the ECB says that it is ‘saving’ Europe. The rescue operation boils down to the ECB buying up the debt securities of a number of European countries (Greece, Spain, Portugal and Italy). Mario Draghi is fuelling demand for the securities of bankrupt states. These securities usually have very long repayment periods (ten years or more). At present, they are being traded at prices significantly higher than face value, but even a layman can see that these inflated quotations could fall below face value at any moment. The collapse of the market is inevitable, it is just a question of when. Some European experts believe that the ECB president is acting in the interests of Washington and the US Federal Reserve System by undermining the competitiveness of the European economy and weakening the euro once and for all. Others have suggested that Draghi is acting specifically in the interests of Goldman Sachs. Even amid the sharks on Wall Street, this bank stands out. Firstly, it lends itself to making money from crises, bankruptcies and failures like no other. Secondly, it has gotten used to worming its way into the government and receiving budgetary and other support. It is exactly this that allowed the bank to withstand the 2007-2009 crisis. At the start of the summer, the discontent among politicians, businessmen and sections of the banking community with the European Central Bank rose sharply. This was due to the actions of the largest private financial institution in continental Europe – Deutsche Bank. At the end of June, it published a report assessing the consequences of the ECB’s policy. These consequences are devastating, since the almost free money is artificially prolonging the life of bankrupt companies, exacerbating the crisis of overproduction, and impeding the restoration of market equilibrium. The sovereign debts of EU member states are also continuing to grow due to the buying up of bonds by the European Central Bank. The Deutsche Bank document concludes that the ECB is preventing the implementation of structural reforms in the eurozone and preparing the conditions for a new, even greater crisis. Deutsche Bank has called on the ECB to stop its policy of quantitative easing and free money. Directly or indirectly, Deutsche Bank’s position has been supported by other European banks, primarily German ones. One of Germany’s largest banks – Commerzbank – has called for the ECB to abolish its negative interest rates on deposit accounts, warning that otherwise, it would no longer use the ECB’s depository services, but would store its excess liquidity (hundreds of millions and even billions of euros) in vaults in cash. Even Germany’s Federal Minister of Finance, Wolfgang Schäuble, has criticised the ECB’s policy. In May, the Constitutional Court of Germany reported that it received a complaint regarding the European Central Bank’s monetary policy. The names of the complainants were not disclosed, but they are allegedly a group of German businessmen and experts in the field of economics and finance. The governor of the Bank of France and member of the bank’s Board of Directors, François Villeroy de Galhau, has unexpectedly spoken out in support of the ECB’s policy, but the governors of central banks in many other European countries are keeping quiet, and that is understandable. As professionals, they are clearly aware of the devastating long-term effects of the ECB’s easing policy, but their countries receive ‘gifts’ from the ECB by way of competitively priced Treasury security purchases. Mario Draghi paused longer than other European officials following the UK referendum on 23 June. He eventually spoke, calling the results of the referendum «extremely regrettable». In the first two working days after the referendum (Friday 24 June and Monday 27 June), global stock markets lost $3 trillion. The only comparable slump before this was recorded at the beginning of the 2007-2009 global financial crisis. At a finance conference held in the Portuguese city of Sintra at the end of June, the ECB president called for closer cooperation between the leading central banks. No-one is in any doubt that Brexit will lead to serious reforms within the EU. Preliminary outlines for such reforms are contained in a document entitled «A Strong Europe in a World of Uncertainties». The document has been signed by the foreign ministers of Germany and France – Frank-Walter Steinmeier and Jean-Marc Ayrault. The radical reforms they propose are aimed at further depriving member states of their sovereign rights. The document provides for the creation of an EU body in the form of a ‘European superstate’ in which the EU member states will finally lose their national sovereignty once and for all, but with regard to the ECB’s role and position within this new European architecture, the document says nothing.